← Every year, doesn’t someone find Noah’s Ark? 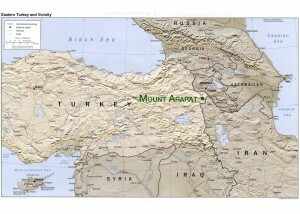 It is only a matter of time before the scientific world recognizes that the giant ancient maritime-looking artifact that NAMI has discovered so high on Mount Ararat confounds any ordinary explanation, but it is perfectly in line with the account of Noah’s Ark in the Bible. What will this mean? An applicable example is the biblical story of David and Goliath. Allow me to compare the scientific skeptics to the Philistines. It is not an unhistorical example. The Philistines were closely related to the ancient Greeks, the fathers of skepticism. The Israelites are those with circumcised or believing hearts. For a long time, the Philistines, the scientific world have put believers into subjection. Goliath is the scientific challenge to the biblical account of the Flood. Many of you can relate to my own experience. I know how intimidating has been the scientific challenge to Noah’s Flood. Rather than squarely facing this challenger, with the other Israelites, I have been in hiding. 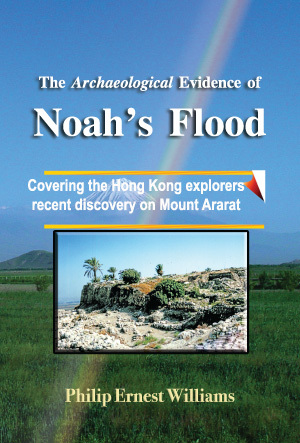 The discovery of Noah’s Ark is a stone flung to the forehead of skeptical science. The scientific world does not know what to think about this. This fact cannot fit into scientific thinking! Ark searchers have long known that this could be the one fact that will destroy the kind of skeptical scientific thinking that has been embraced by the modern world. Scientific study of this artifact is using Goliath’s own sword to cut off the head of skeptical science. What follows next: a route of skeptical science.